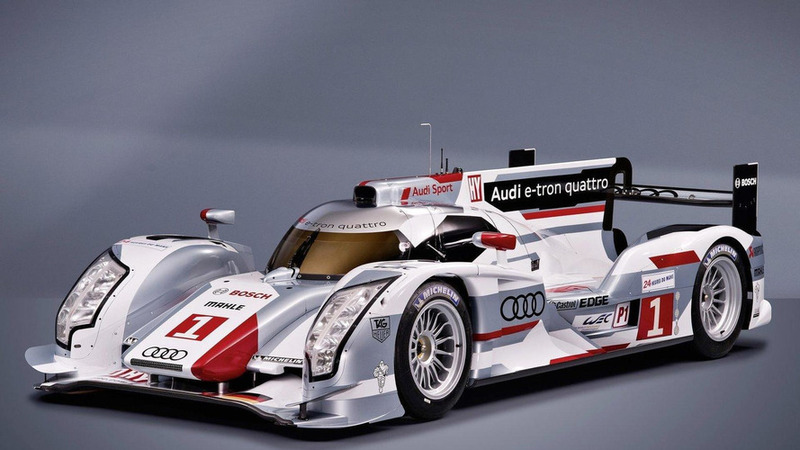 Audi has unveiled a new aerodynamics kit for the R18 e-tron quattro. 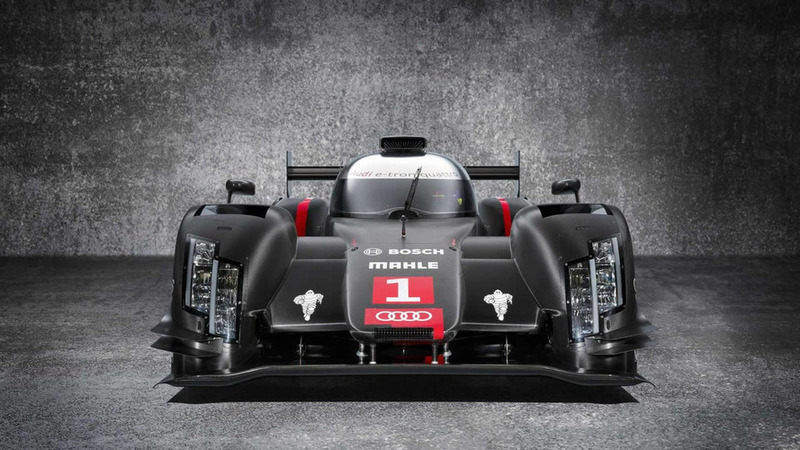 Audi Motorsport has taken the wraps off the 2015 R18 e-tron quattro scheduled to compete in the FIA World Endurance Championship (WEC). 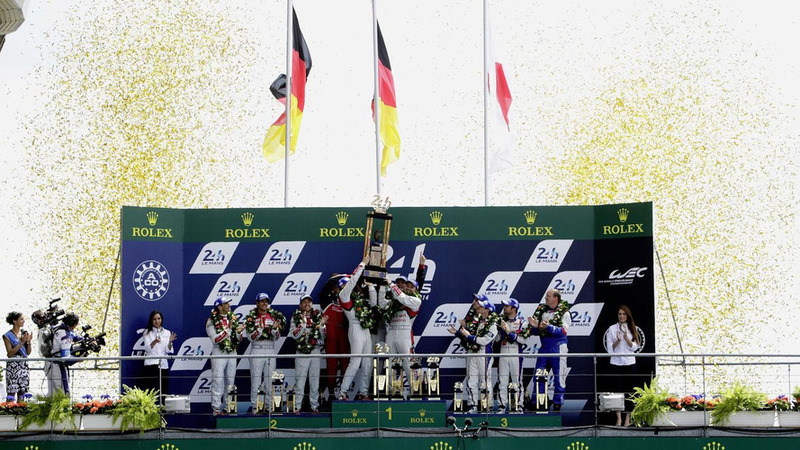 The 24 Hours of Le Mans got off to a rough start, but Audi overcame a near tragedy to claim a one-two victory in the LMP1 class. 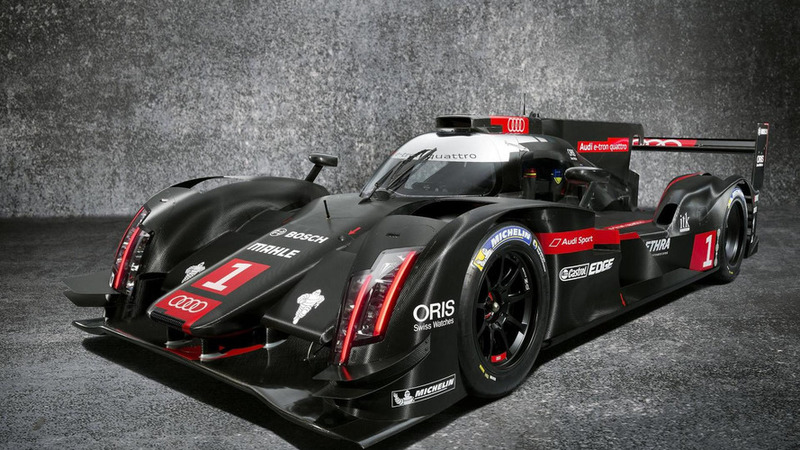 Audi engineers worked overtime last night to repair the R18 e-tron quattro that was damaged when it went off the track at speeds in excess of 270 km/h (167 mph). 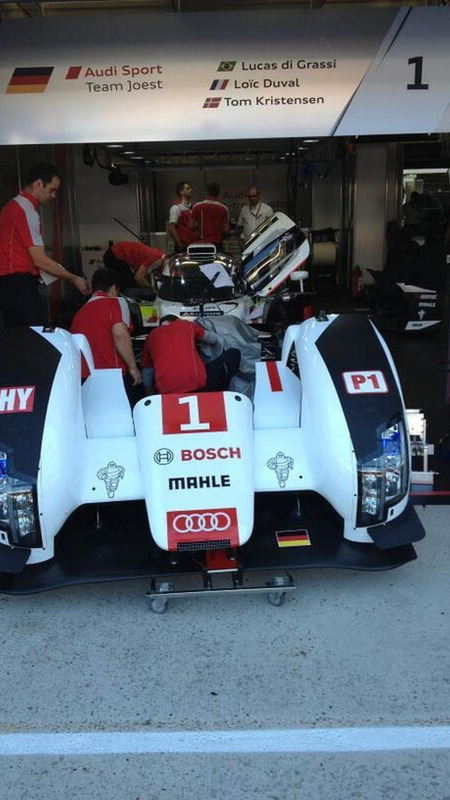 An Audi R-18 e-tron quattro has been involved in a crash during a practice session at Le Mans. 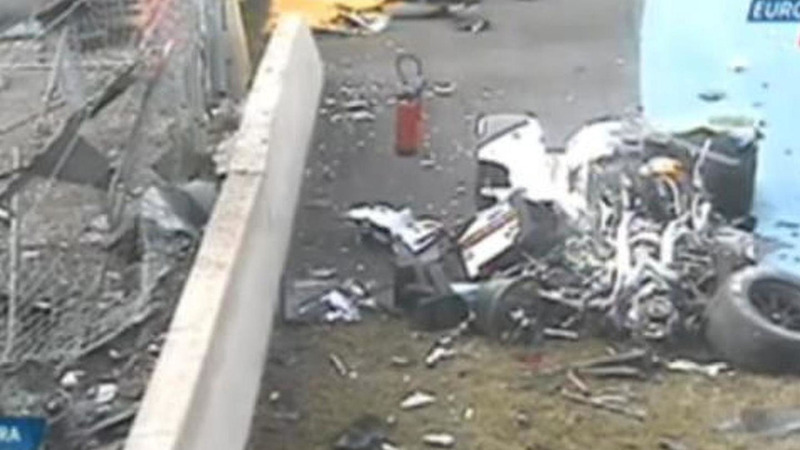 Loic Duval's R18 went off the track at a "very high speed" and crashed into the barricades. 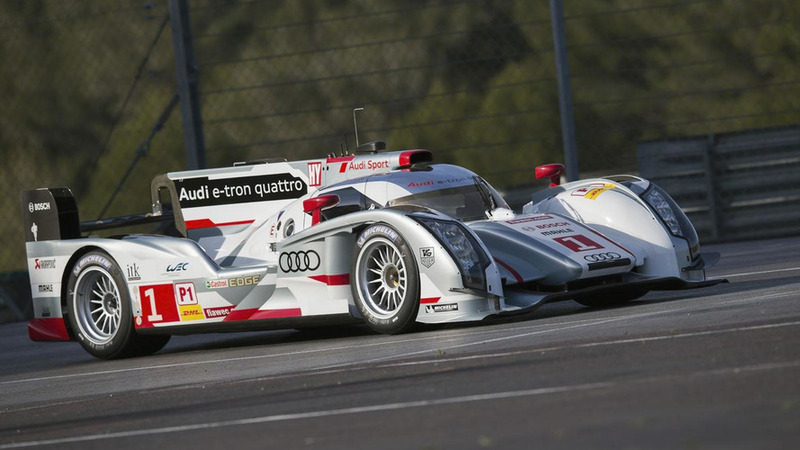 Audi has announced the 2014 R18 e-tron quattro has been equipped with a new all-wheel drive system which should ensure they remain at the top of their class. 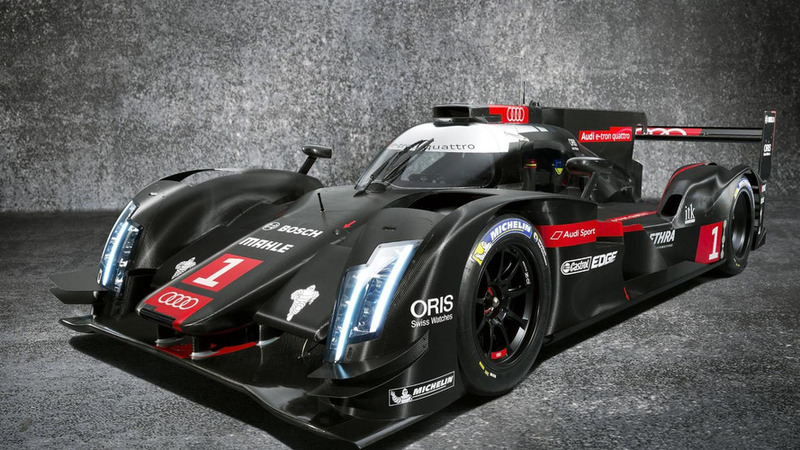 BMW might have beaten them to the punch but Audi has finally jumped on the laser light bandwagon thanks to the 2014 Audi R18 e-tron quattro. 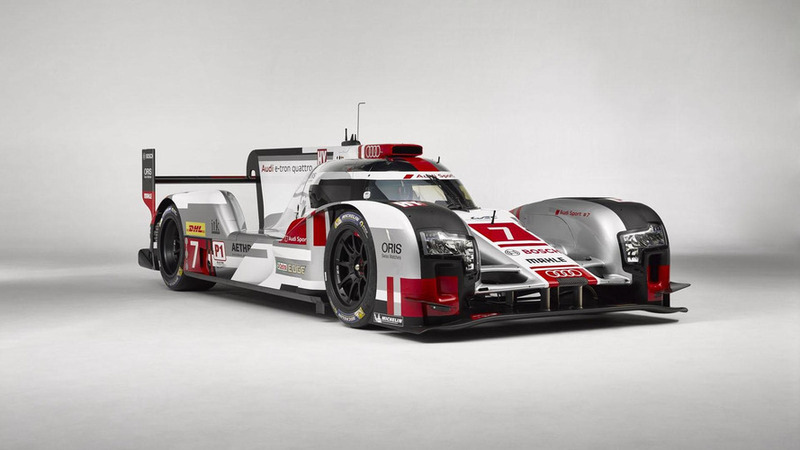 Following Monday's preview, Audi has taken the wraps off the 2014 R18 e-tron quattro which will have its racing debut on April 20, 2014 in the six-hour race at Silverstone. 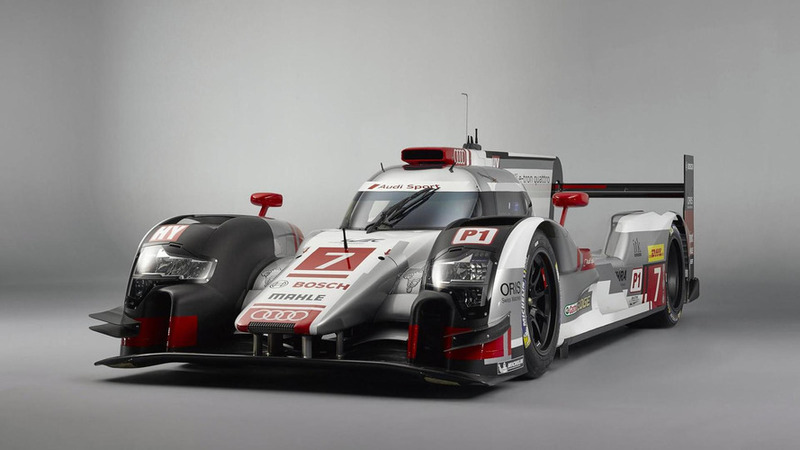 Audi is gearing up for the 24 Hours of Le Mans by introducing a new long tail variant of the R18 e-tron quattro. 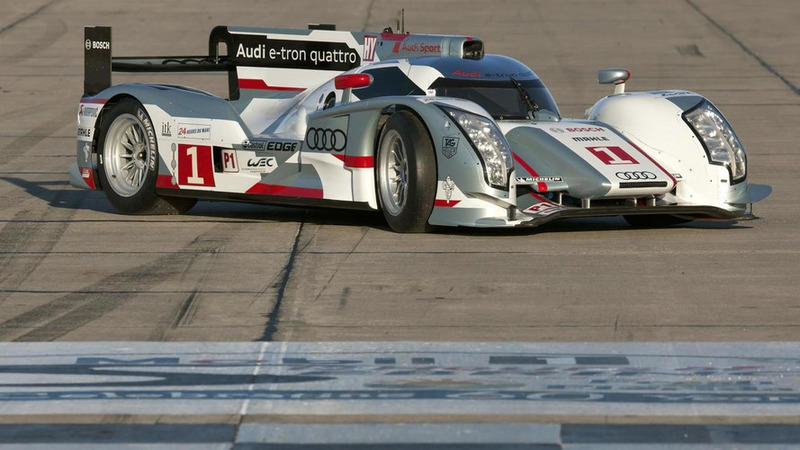 Audi is bringing to 12 Hours of Sebring two R18 e-tron quattro cars before the end of the LMP1 class set for next year. 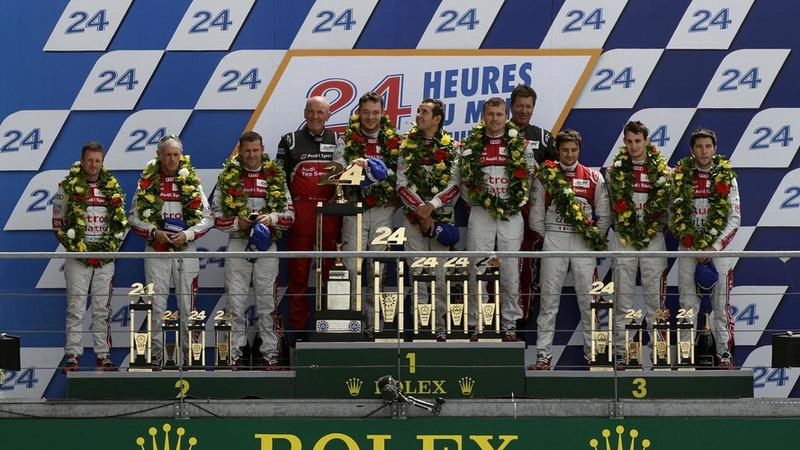 Audi has dominated the 24 Hours of Le Mans with a stunning one, two, three victory. 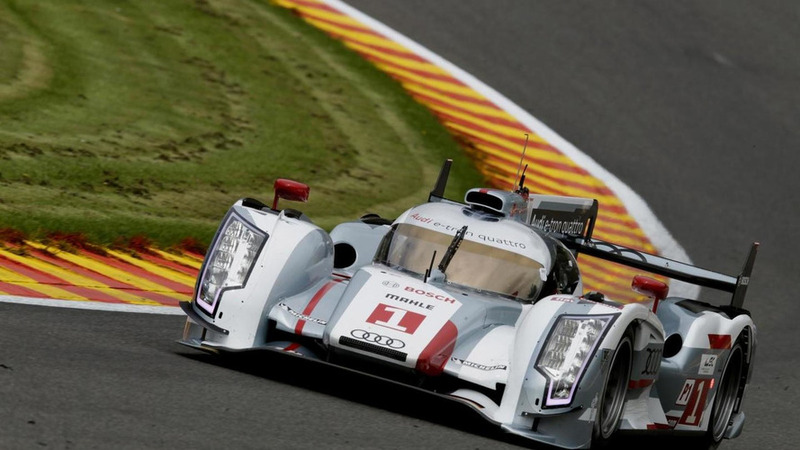 The second round on the FIA World Endurance Championship arrives at Spa-Francorchamps and has been identified as an ideal opportunity to test the limitations of the company's first diesel hybrid race car. 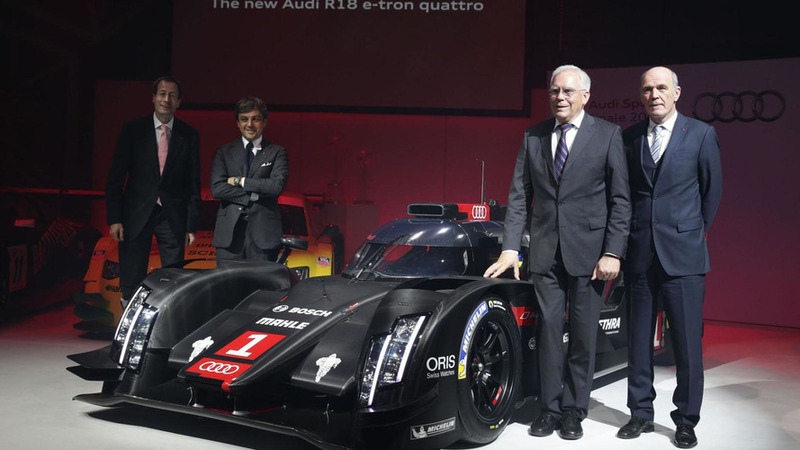 Audi has announced the new R18 e-tron quattro, an entirely new form of Le Mans prototype race car.